Shank fits 2" hitches and offers up to an 8" rise and a 2" drop. 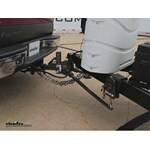 System uses optimal points of tension to help prevent sway while it balances your trailer's load for a more level ride. Clamp-on brackets require no drilling. 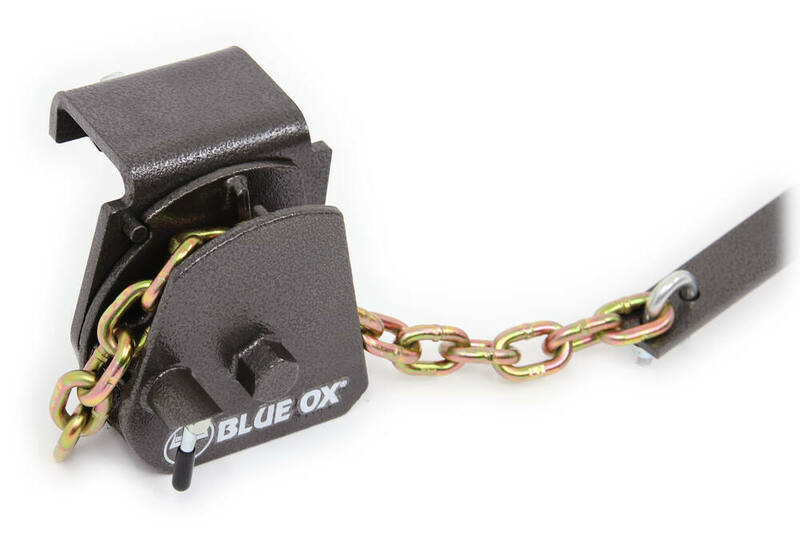 Lowest Prices for the best weight distribution from Blue Ox. Blue Ox SwayPro Weight Distribution w/ Sway Control - Clamp On - 8,000 lbs GTW, 750 lbs TW part number BXW0750 can be ordered online at etrailer.com or call 800-298-8924 for expert service. Today, we're going to be taking a look at the Blue Ox SwayPro weight distribution system with built in sway control. This unit evenly distributes weight over the axles of the tow vehicle and the trailer for stability and control. 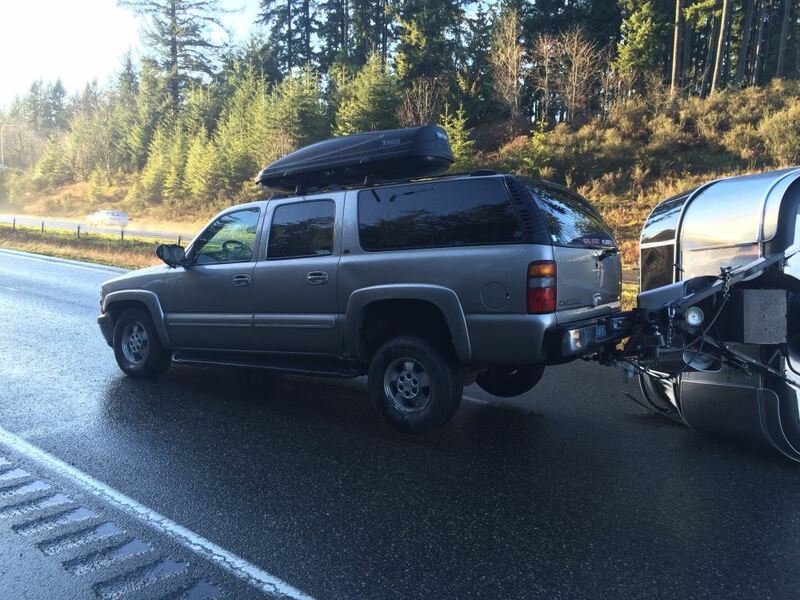 Ultimately, it's going to create a more level ride for both the tow vehicle and your trailer. One of the neat advantages of a system like this is you can actually back up your trailer with the system installed. 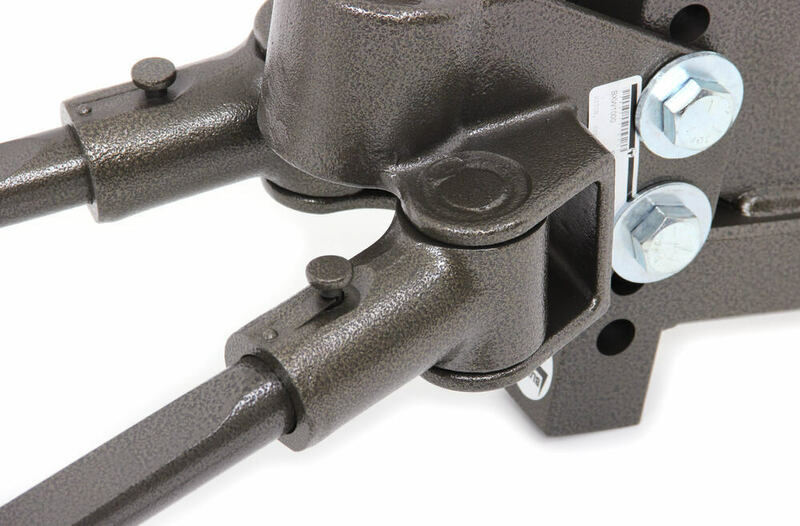 It's also compatible with trailers that have electric brakes and surge or hydraulic brakes. It's going to feature built in sway control. That's going to help prevent trailer sway. We're going to have constant tension in the trunnions 00:00:33 that help force the trailer inline at all times. It really helps prevent sway, and we're also going to have the rotating lift brackets that ensure that the chains are as tight as possible and secure to keep the spring bars from moving. 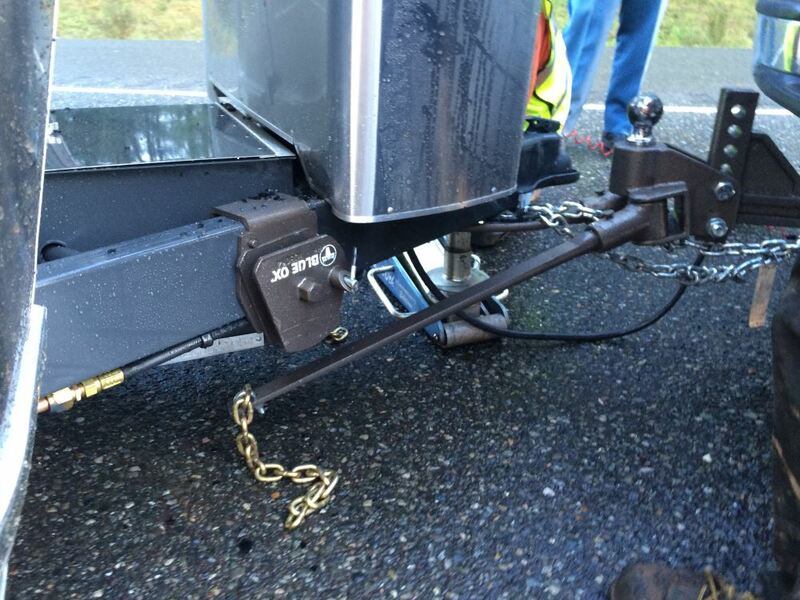 That way, the spring bars can exert more force on the trailer to effectively keep it from shifting side to side. These are trunnion style spring bars that are designed to flex appropriately for a controlled, even ride. They automatically lock into place into the head assembly, and they're easily removable, all you got to do is lift up the tab, and then it's going to disengage the bar from the head assembly. 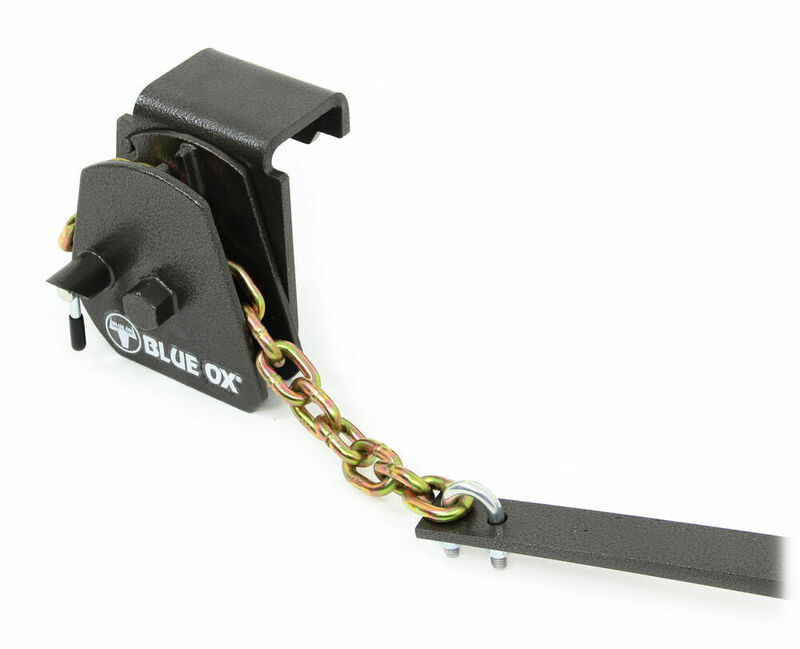 These are interchangeable with other Blue Ox spring bars to raise or lower the weight capacity. Other spring bars are sold separately, but that way, if you ever get a new trailer, you don't have to buy a new weight distribution system, all you need to do is purchase new bars, so that's a really neat benefit of a system like this. Also, no pins or clips needed; it's going to feature self-locking devices that function throughout the system. On the back of the head assembly, we're going to have a grease zerk fitting on each side, so two grease zerk fittings inside the head assembly, makes maintenance simple, easy, and clean. 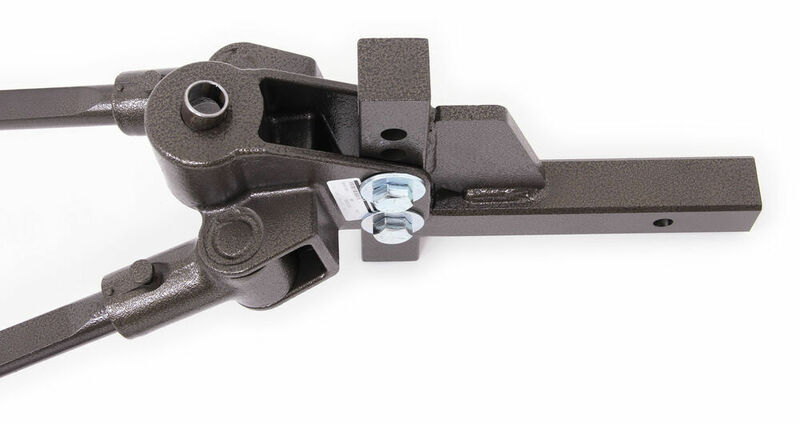 It's going to feature the unique rotating latch lift brackets that connect the spring bars to the trailer. These are quick and simple to use. Chains go in the slot here. It's got this pin so you can lower these, connect the chains to the bracket, and then use the included wrench, goes over that portion there. You rotate that, helps you get the proper leverage. That's going to rotate until it snaps and locks into place. 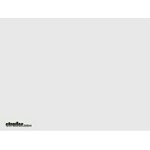 These brackets are very quick and easy to use. They don't require much effort at all, and the included tool just makes that process even easier. These are a clamp on design, no drilling needed, and they are going to be a low profile design, that way they don't interfere with frame-mounted items. When it comes to getting the proper tilt for your system, it's actually built into the head assembly, so no adjustment is needed to get the tilt required for your application, it's all built in. All you may need to do is change the location of the head assembly here on the adjustable shank. That's all there is to it. The unit's made from a steel construction. It's going to be powder coated to resist rust and corrosion. It's going to last and look good for a long time. Your hitch ball's not included so that is sold separately. This will accept an inch and a quarter diameter shank or a one inch diameter shank. If you're using the hitch ball with a one inch diameter shank, you will need to use the reducer sleeve that's included with the system. This unit's rated with a tongue weight capacity of 550 pounds to 750 pounds. It's going to offer a gross towing weight capacity of 8,000 pounds. 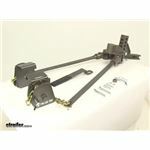 It's designed for two inch by two inch trailer hitch receivers that are rated for use with weight distribution systems. When it comes to positioning your lift brackets, they're going to be positioned about 29 inches back on the trailer frame from the center of the hitch ball. 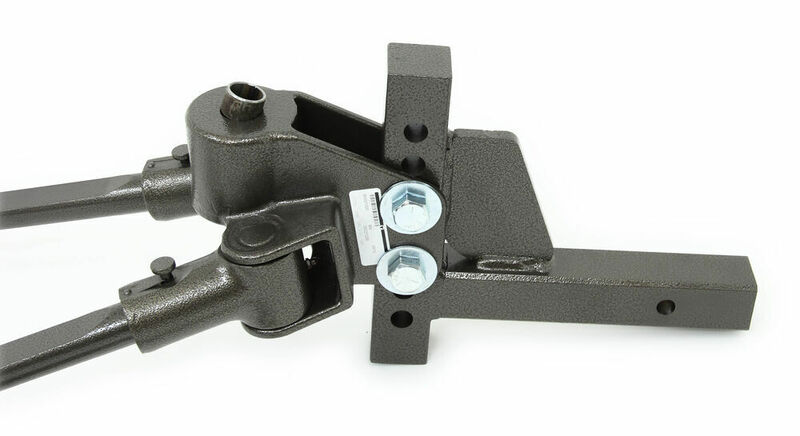 These lift brackets will fit trailer frames up to two and five eighths of an inch wide, and the lift brackets are only going to take up about four inches along the trailer frame at the top of the trailer frame. It's going to come with long bolts, short bolts, and jam nuts. You can use whatever set of bolts works best for your application, but two sets of hardware and jam nuts are used to install the brackets to the frame. Again, you'd use one set, but two sets are included to fit your application the best way possible. Again, your adjustable shank is included. From the center of the hitch pin hold to the center of the adjustment holes is going to measure nine inches. To the back of the adjustment bar is eight inches. To the front of the adjustment bar is ten inches. Overall length of the shank from very back to very front is going to be 13 inches. You can use it in the rise or drop position. If you're using it in the rise position, if you have the head assembly at the highest setting, it's going to give you a maximum rise of eight inches. That's measured from the inside top edge of the receiver tube of your hitch to the top of the ball platform. If you have it in the drop position with the head assembly at the lowest setting, that's going to give you a maximum drop of around two inches. Then your adjustment holes are separated on center by an inch and a quarter, so that's your incremental height adjustment. It's also going to come, again, with your reducer sleeve and a hitch pin and clip to secure the unit inside the receiver tube of your hitch. Product is made right here in the USA, and it's covered with a limited lifetime warranty. That's going to do it for today's look at the Blue Ox SwayPro weight distribution system with built in sway control. Springs bars from Blue Ox that have two dots (sometimes called dimples or notches) are rated for up to 750 lbs of tongue weight. What you have are the Spring Bars for Blue Ox SwayPro Weight Distribution System # BXW4006.